Newcastle United and manager Rafa Benitez came into Saturday’s match against Leicester City aiming for their first victory of the 2018-19 Premier League campaign. What home fans saw instead was a lacklustre performance, as tensions mount at St. James’ Park. Leicester came away with a comfortable 2-0 victory, after goals from Jamie Vardy and Harry Maguire. The Newcastle attack has been a concern throughout the 2018-19 term already, still only producing four goals through seven league fixtures (two of those scored by defenders). However, struggles were seen throughout the line-up for the Magpies this weekend. ALSO READ: Newcastle United fans start a new movement with "If Rafa Goes We Go"
Jonjo Shelvey and Mohamed Diame failed to link up with team-mates effectively moving forward into the opposing half, and the starting duo of Joselu and Ayoze Pérez were invisible for much of the encounter. Newcastle finished the game with four shots, and only one of them was on-target. Salomón Rondón was out injured, while second-half substitute Yoshinori Muto was unable to create a spark after coming on for Pérez in the 69th minute. Defenders certainly worked hard but were taken out of position several times by Leicester’s passing. United remain in the relegation zone, having gained two points from seven matches. The Toon now prepare to travel to Old Trafford to face Manchester United next weekend. The protests against club owner Mike Ashley have been seen often already this season. After taking in their last game at Crystal Palace, the 54-year-old businessman was looking on as the squad was over-run by Leicester. Supporters let Ashley feel their frustrations, with various chants directed at him throughout the afternoon. He seemed unaffected, but there does appear to be an effect on the players. With every shout of their poor quality or the asking of where the money has gone, the negativity on Tyneside is spilling over to the team on the pitch. It is not easy to gain positive results when the form is on the decline, and the atmosphere is toxic. There is, of course, no easy fix. 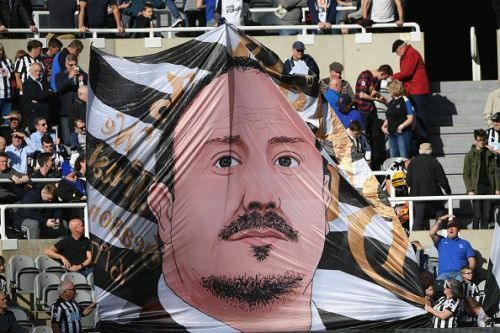 The Magpies must find a way to focus on earning points, while January will be a critical time to determine Benitez’s future as manager and find necessary reinforcements for the upcoming relegation scrap. Leicester were a step above Newcastle United in terms of overall quality on Saturday. Last season, it was the Geordie club’s fight that guided them to a tenth-place finish in the table. But now, that fight is becoming lost under a mixture of frustration, losses and angst.